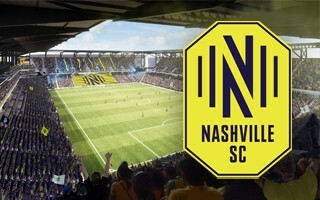 Having been approved as the 2020 MLS expansion team, Nashville SC have recently presented their new yellow branding, inspired by the city's tradition in popular music. 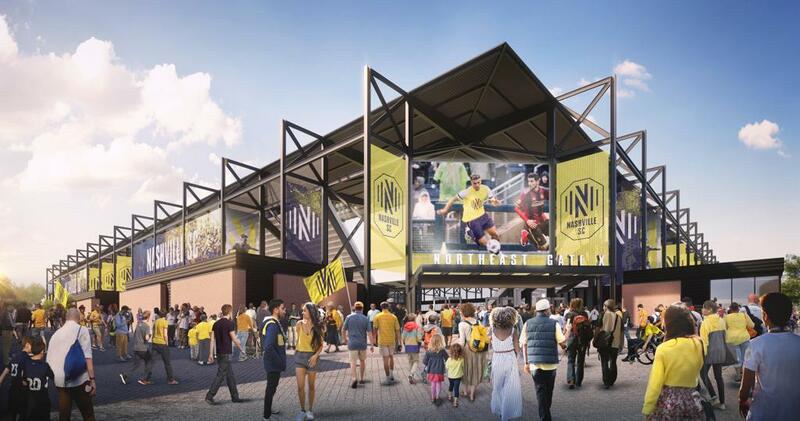 On Thursday a different presentation took place: of new stadium renderings, significantly different than the initial vision that won Nashville its MLS spot. The images were revealed by Ian Ayre, who – you may recall – managed Liverpool FC during planning for the successful Anfield expansion. And no wonder that a CEO with such name was landed for an obscure new team because that new team is aiming high. Owned by billionaire Ingram, Wilf and Turner families, the latest franchise might make some waves, and not just sound waves, when they debut in 2020. Their launch in MLS will not take place at the purpose-built stadium at the Fairgrounds, of course. It actually turns out that planned 2021 inauguration of the facility is no longer viable. “Given the size, scope and challenges in building what will be the largest soccer specific stadium in the U.S., we have adjusted our construction timeline such that we will begin play in our new stadium at the start of the 2022 MLS season.” Ian Ayre wrote in his letter to fans. What may sound wrong is the statement is “the largest soccer specific stadium in the US”. We had to double check it but...yeah, that's actually true. 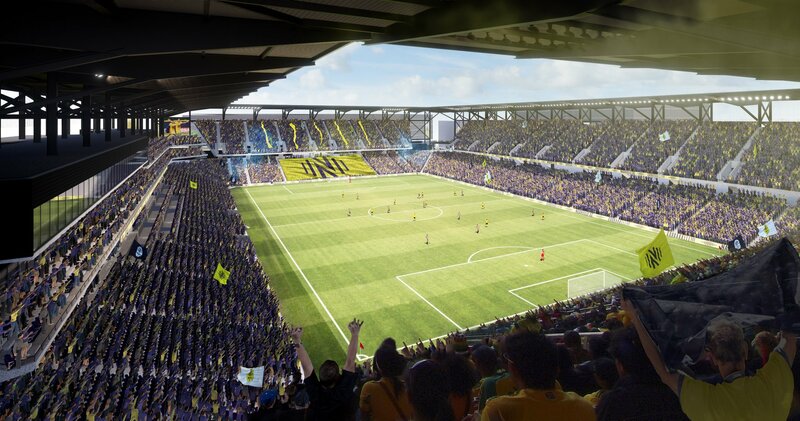 So far no team has commissioned a stadium that big for MLS. With 30,000 seats (slight uptick from initial 27,500), the stadium might even leave some room for further growth. Before it comes to fruition, throughout the 2020 and 2021 seasons Nashville SC will be using the NFL-specific Nissan Stadium. As has been customary across the US, we expect it to be used with significant part of the 69,000 auditorium tarped off.